Bad news: reindeers in an Arctic island by the North Pole are getting skinny because of climate change. After reports of polar bear numbers plummeting due to sea ice melt, global warming has taken another victim: the horny herbivores closely associated with Santa Claus. "Warmer summers are great for reindeer but winters are getting increasingly tough," James Hutton Institute (Scotland) ecologist-professor Steve Albon, who led the study with Norwegian researchers, was quoted by The Guardian. 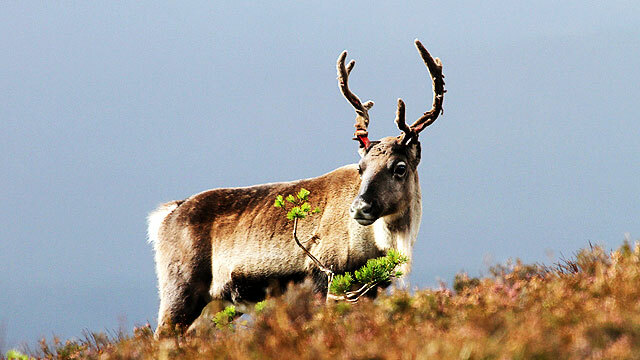 From the usual 55kg (121lb), reindeers reportedly have shrunk to 48kg (106lb) as a result of food scarcity. What basically happens is that instead of snow, winter in the area produces more rain, which upon freezing renders the organic produce inedible. On the contrary, plants are thriving in the summer, ensuring higher mortality rates, albeit on the thin side. How would a team of scrawny sleigh-pullers be able to drag Santa's unbelievably heavy cargo, which bears all the gifts for every single person on his 'Nice' list? Eager to get our presents get the man known as Kris Kringle to carry on tradition, FHM thought of 5 possible substitutes for Rudolph and Co. Ever seen a carabao caravan? Pretty much works like Santa's sled, only instead of presents, the hardworking local ox pulls a mini market that is ingeniously loaded with all sorts of handicrafts. Just one of these babies is enough to haul everyone's gifts. Father Christmas might have to turn to the Dark Side for additional manpower, and cold assault stormtroopers (snowtroopers) fit the bill perfectly. Bucketheads are physically and mentally conditioned, ensuring total obedience and making life easy for the aging gift-giver. For good measure, check out our review on Rogue One here. What would be better than the fastest animal on land? Santa will be back from all the gift-giving in time to join Mrs. Claus for Noche Buena in his own household. We may have a problem with carrying power, but at that breakneack pace, why not just do multiple runs? Gift distribution has never been this easy with the help of the NBA's Top 2 assist men. Harden dishes a league-leading 11.6 assists per game for the Houston Rockets, with former Oklahoma City Thunder teammate Westbrook following closely behind at 10.8 a night. Just keep an eye out for their horrendous turnover ratios; a few presents might end up undelivered. Why not take advantage of technology in this day and age? Santa could even have everything handed out via GrabExpress. Good luck with the traffic, though.